Jeremy's infatuation with muscle dates back to childhood. He idolized He-Man and Arnold but didn't aspire to look like them until now. His journey is far from over! I have always loved bodybuilding and was astonished how people could transform their physiques with hard work and dedication. I always wanted to be He-Man growing up, so maybe it all stems from that. When my final year of college ended, I became interested in changing my body. I was unhappy with how I looked, but more so with how I felt. I was 6-foot-2 and 165 pounds soaking wet with no definition. I was skinny fat with no abs, little muscle, and hardly any strength. I started having health issues from my poor diet—pizza and beer with little to no fruits or veggies—which took a toll on me. I had countless intestinal issues, poor digestion, ulcers, and dangerously low kidney function. It scared me straight. As my eating habits changed, so did my lifestyle. Going out and staying up late turned into frequent gym visits, proper rest, and healthy nutrition. The byproduct was a physique that looked the way I wanted it to. I tried numerous programs throughout the years. This is an example of a program I've used for a while now and I love it. It provides a mix of everything I enjoy and need. This variation is taken from an original program by Dr. Layne Norton. I changed certain movements and rep ranges every 6-8 weeks depending on my goals and schedule. Each day begins and ends with 5-10 minutes of dynamic warm-up and foam rolling sessions that target the movement patterns for the day. Typically, I rest anywhere from 45-90 seconds between sets and longer for heavier movements with low reps. Foam rolling, mobility and flexibility work. My nutrition plan is simple at this point. I have been using intermittent fasting (IF) for the past two years. I experimented with various protocols, backloads, and carb cycling within IF. I eat from around noon-8 p.m. and fast for the other 16 hours by drinking water, green tea, or espresso. My window is smaller on some days and I eat between 2-8 p.m. or 4-10 p.m.—it all varies on my schedule, goals, and training time. I was always obsessed with muscles from playing with He-Man action figures. I played for hours, drew He-Man, and watched endless cartoons. I didn't become determined to change my physique until much later. It is one thing to want to change your body and add lean muscle mass, but it's a whole different thing to do it. I fell in love with hard work. I was able to create something, change, mold, and control it. I always loved art, and I guess in a way, bodybuilding is the ultimate art—you mold your body into something you want it to be. It's an endless journey that constantly changes. I grew up in the Terminator era, so Arnold was, is, and always will be amazing. His physique is the greatest, but he accomplished so much more. I hope to do the same with my training and take my physique to the highest level so I can parlay it with other things. Watching Arnold progress motivates me to never limit myself into just one or two areas of life. From a motivational standpoint, I love watching Jay Cutler videos. I always loved his work ethic and business approach to training and eating. It inspires me to do the same. It's just about being healthy at this point. I focus on each day, and eat and train the right way so I feel my best. Waking up healthy and happy is a gift I don't want to waste. Being healthy is all the inspiration I need. Right now, I'm currently adding size and want to end up around 217 pounds, or 230 maximum. I'm happy with my progress during the past two years. It took hard work and it's paying off. This past year, I competed three times and won twice in men's physique. I plan on doing one bodybuilding show toward the end of 2013 and one or two men's physique shows. My future plan is to keep improving every day and enjoy the journey. Understand nutrition. Before anything, get a program that works for you and your body type. Invest the money and get advice from knowledgeable people. It will be the best money you ever spend. Touching on this again, it has to be Arnold. Learning about him makes me want to dominate all areas of my life. 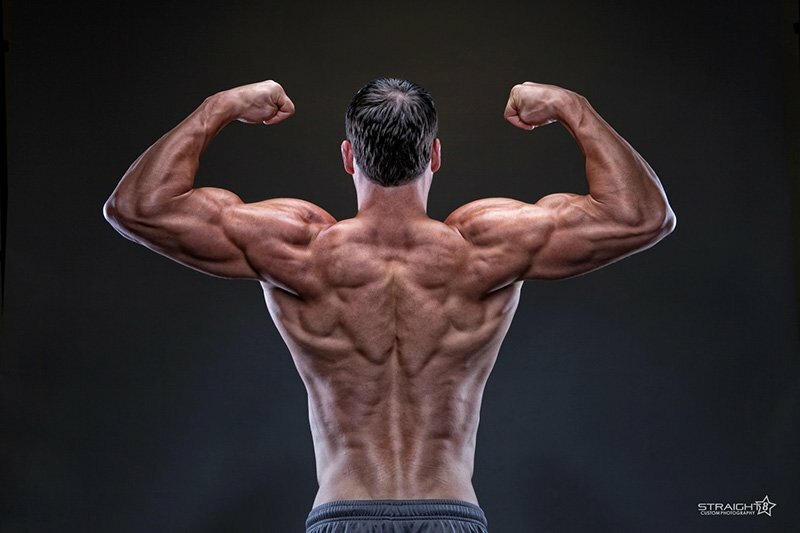 Bodybuilding.com helped me connect with other fitness professionals who have been in the game a lot longer than me. 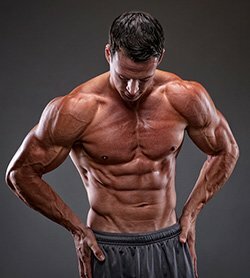 Dr. Layne Norton put out some amazing free information on Bodybuilding.com that helped me tremendously. The programs and nutrition protocols are sweet. In the early stages of my training, some of the articles and video series helped me move light years ahead. To this day, when guys like Layne put videos or articles on Bodybuilding.com, I watch intently and always walk away learning something. In addition to the programs and nutritional content, the number of people on BodySpace in amazing shape is mind-blowing. It's motivating to see the drastic changes and hear the stories. It goes to show that anyone can do anything if they want it bad enough. Seeing average people do extraordinary things pushes me to do a little bit more each day. Thanks: Thank you to everyone who helped me on my health and fitness journey. Thanks to all the amazing clients at Jeremy Scott Fitness, Prolab, and all my FitFluential friends. You guys are the best and you all inspire me to do more every day. Find me on Facebook, Twitter, Pintrest, my personal Website, and my Prolab Athlete profile.